Penguin's Comedy Club is available for all kinds of parties. We celebrate everything! Bachelor/Bachelorette, Bridal Showers, Baby Showers, Birthday's, Anniversaries, Graduations, Class Reunions, Halloween, & holiday parties! Entertainment: Comedy shows are Friday's & Saturday's at 8:00PM. There are video clips below the bio of each comedian, so that you can get an idea of their act. We have a variety of entertainment available! If you are interested in buying tickets for your party, please call us or email for more details at penguinscomedyclub@gmail.com. Different rates do apply on a week to week basis. Drinks: We can run a cash bar, company tab, or even print up drink tickets (with your limitations). Reservations: Call when you have chosen a specific show. You will be pencilled in to hold your place until you have received your RSVP's. Once you have your RSVP's, call and purchase your tickets (319) 362-8133. 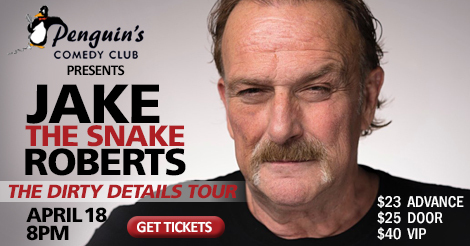 Tickets are non-refundable. 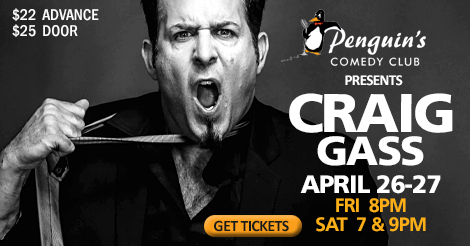 Payment: Show tickets can be purchased over the phone with a credit card or online at penguinscomedyclub.com. We will accept business checks for tickets (no personal checks). Reservations are not guaranteed until payment has been received in full. Food and beverages are paid for on the night of the show.